Maverick all-rounder Glenn Maxwell has been dropped from Australia’s ODI squad for the forthcoming series against England. 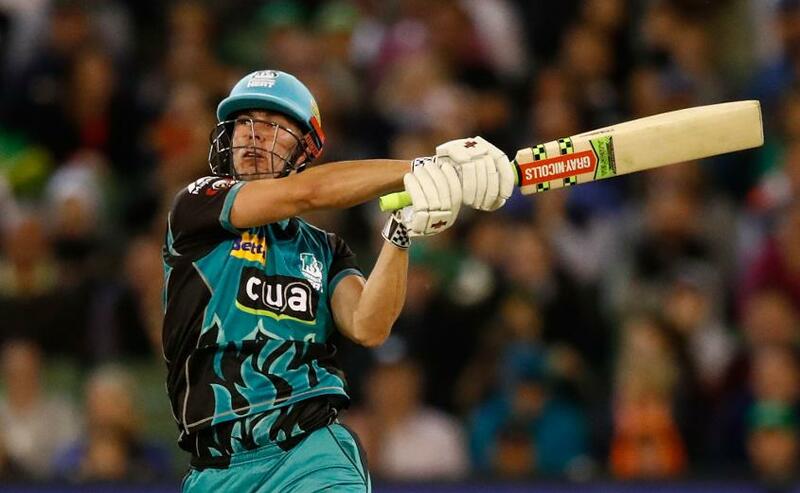 The 29-year-old Victorian has been replaced by big-hitting Chris Lynn, Brisbane Heat’s BBL star who recently returned from shoulder surgery. Maxwell has been warned by the Australian management to improve his consistency. "No-one is in any doubt about Glenn's ability or his potential to produce match-winning contributions with the bat," said Australia’s national selector Trevor Hohns. "What we have wanted from him is more consistency but in his past 20 matches in this format he has averaged 22 and we need more than that from a player in the side's batting engine room. "Glenn is still absolutely in our thoughts, but for this series we have decided to look again at Chris Lynn, who is now back playing once more after the shoulder injury that hampered him when we picked him against Pakistan in this format 12 months ago.“He has been one of the most feared players at domestic level in limited-overs cricket in the past couple of years and we want to see if he can convert that domestic form to the international stage." The selectors have also dropped Matthew Wade for the second time in a few weeks, with Tim Paine, who took Wade’s place as wicketkeeper in the Test team for the Ashes, replacing him. Paine has not played an ODI since 2011. "Tim forced his way into the Twenty20 International squad last summer, and after coming back into the Test squad at the beginning of the Ashes series he has made a terrific contribution with bat and gloves," Hohns said. "He deserves his opportunity in this form of the game and the challenge for Matthew (Wade) is to return to the type of form that saw him score a one-day international hundred against Pakistan last summer." Uncapped Western Australian fast bowlers Jhye Richardson and Andrew Tye have also been named in the squad, which selectors said had been chosen with the run-in to the 2019 ICC Cricket World Cup in England in mind.